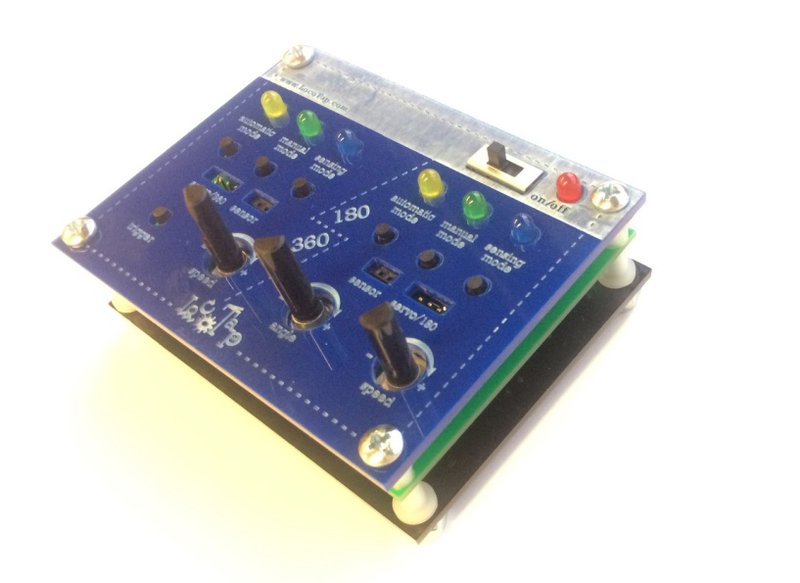 Sensing: The board automatically maps the value of analog sensor value to the output, allowing the analog sensor to control the speed of the servo. The software can optionally be modified using the Arduino IDE and a FTDI breakout board. The LocoTap was used in the "Crafting Computational Percussion with Everyday Materials" workshop. It was done in collaboration with Hynjoo Oh and Jiffer Harriman. We developed a kit (cardboard mechanical components and a custom printed circuit board) to design and construct creative computationally enhanced percussive instruments. We wanted to support hands-on activity, encouraging beginners to experiment with integrating everyday objects and materials with basic electronics components and computing without requiring technical skills, and to support people to become more fluent and expressive with new technologies. More details can be found here: https://craftingpercussion.wordpress.com"
"Every material has its own sound. By rustling a plastic bag, crumpling a newspaper and ripping cardboard, we make different sounds; shaking an empty bottle containing marbles or pebbles is a common form of play. Today, computing and DIY electronics adds a digital layer to a physical world. Integrating electronics and computing components with physical materials, we can build creative computational percussion instruments using diverse materials. Beyond the aesthetic and technical quality of the outcome, the activity encourages us to observe and experiment with technologies and everyday materials and discover related science phenomena surrounding motion, sound, and materials. We can foster creativity and ingenuity through creating and engineering, in short, by making things."